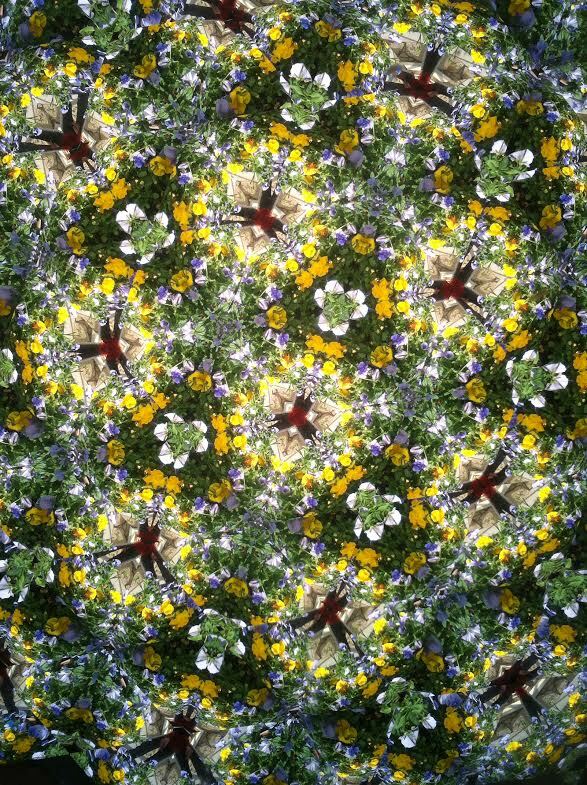 Took some photos in the kaleidoscope at the botanical gardens this weekend. Cooking: greek yogurt + strawberries + honey + shredded coconut = my go-to breakfast lately. Listening: to the You Made It Weird Podcast (still). It’s an unexpected source to find this weekly push to know and accept myself and others more and more. Drinking: my coffee black, lately. Reading: We Have To Fight Our Battles Together–this article on Thought Catalog. It’s real. Wanting: it to keep raining like this, today. Looking: ahead but still holding on to right now. Wasting: time reading cocktail recipes. Wishing: I had laundry facilities of my very, very own. Enjoying: this temporary time in our lives (it’s all very temporary). Waiting: anxiously for our vacation to Eureka Springs, Arkansas next weekend. Liking: this new show on Comedy Central, “Review“. Get into it! Loving: my new-found victory over gym-guilt. It’s my gym membership and I can do whatever the hell I want with it. Hoping: that I’ll be able to make a cake soon. A dense one. With black berries. It’s what I want. Marveling: at the way a heart can change so completely and so quickly. Feeling: supremely gassy. Is that too much? Needing: more coconut oil. But, I mean, $$. Smelling: lilacs in the yard. Wearing: this burgundy sweater that Ryan talked me into buying (though he maintains that’s not true). It’s so soft. Following: Top With Cinnamon on Bloglovin. These photographs! Click that link and tell me you’ve seen sexier pancakes ever in your life. I submit that you have not. Noticing: that my hair might very well be greying. Thinking: that it might actually be time for a real hair cut. Bookmarking: lingerie on Etsy. We should all have a lovely foundation. Opening: Instagram way, way, way too often. Giggling: at foot rubs. I just destroy any halfway romantic moment.